Thursday 22nd March, 2018 was a time of sacred history when Brigidine Sisters, staff members of St. Joseph’s College, people associated with the College and student representatives met in the historic College Chapel with Trustees and staff of Kildare Ministries. At this Ritual, the Brigidine Sisters entrusted the continuing stewardship of St Joseph’s College to the Trustees of Kildare Ministries. This means that the role of the Brigidine Sisters changes from one of responsibility and governance to one of accompaniment. 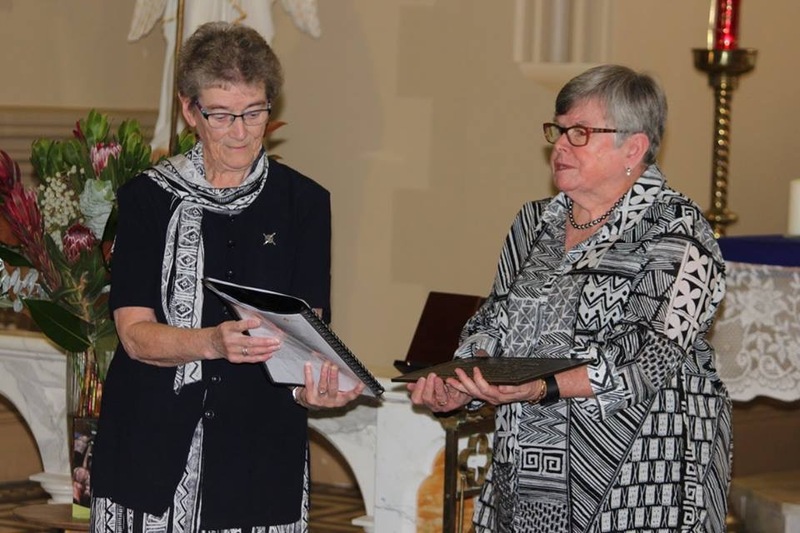 As Sr. Anne Hill, Community Leader in Victoria said, the gathering signified the closing of a long chapter in Brigidine history from when the first four Brigidine Sisters, at the invitation of Bishop Crane of Sandhurst, arrived from Tullow in 1886, to this day in 2018. And yet, even though it was tinged with sadness, it was also one of great opportunity and trust as Kildare Ministries carry on the mission of the Gospel in the Brigidine tradition. As the Brigidine pioneers were animated by the desire to make the Gospel known in this part of Australia and to impart a love of learning, the Spirit that inspired them is still in strong evidence in the College today. It is passed on by the generosity and dedication of so many staff who aim to provide educational opportunities to a wide range of students. After the Ritual, the guests enjoyed light refreshments and there were many renewed friendships and lots of memories shared. Many of the guests then moved to the Oak Centre to join with the College in their Liturgy for Foundation Day which is now annually celebrated on 22nd March. 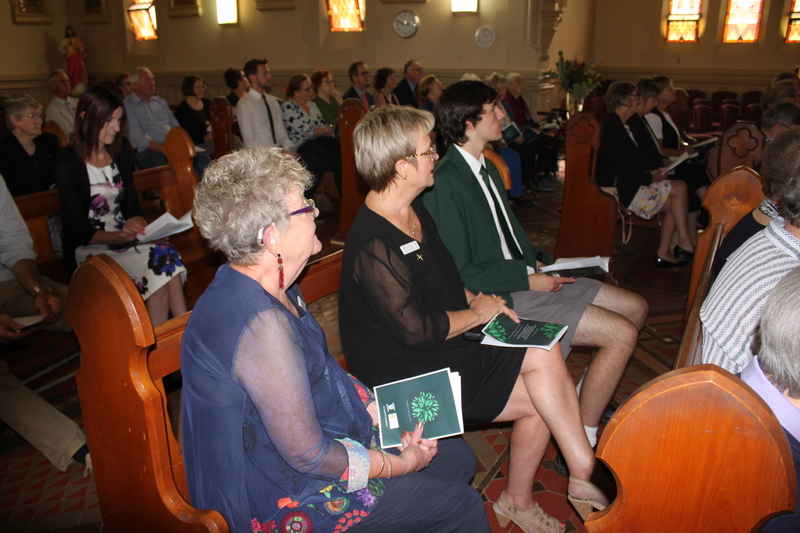 Some of the congregation attending the ritual in the College Chapel at Echuca. Brigidine Sisters, staff members of St. Joseph’s College, people associated with the College with the Trustees and staff of Kildare Ministries who attended the Ritual.